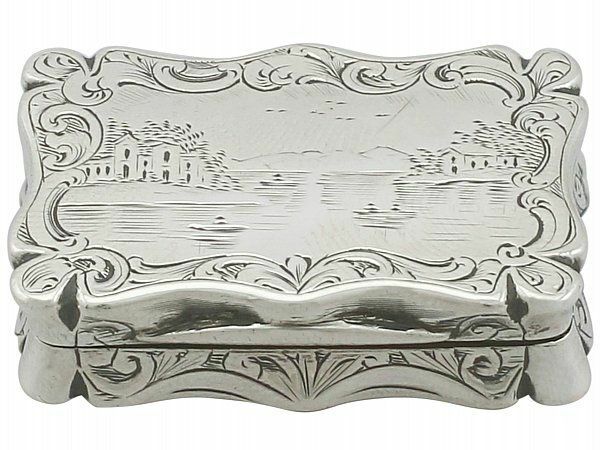 The cover of this antique silver vinaigrette is embellished with a simplified bright cut engraved landscape scene depicting boats silhouetted boats with banked settlements to either side of the water source. 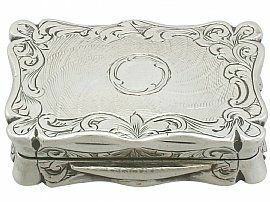 The base of the box is ornamented with a central bright cut engraved scroll bordered cartouche, accented with a sunburst motif in a swirl design. The rounded shaped sides, cover and base of this fine Victorian vinaigrette are encompassed with bright cut engraved scrolling leaf designs. 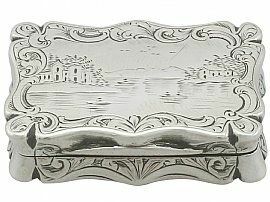 The hallmarked, hinged silver vinaigrette cover allows access to the original hinged, pierced decorated gilt grille. 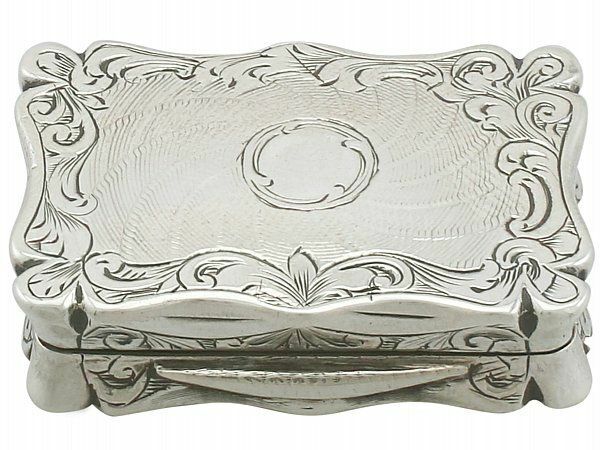 This fine sterling silver vinaigrette retains the original gilded interior. This Victorian vinaigrette is an excellent gauge of silver, excellent quality and in excellent presentation condition. Full hallmarks to the interior of the base, and part hallmarks to the cover are all very clear.